Snug between lake Garda and Trentino-Alto-Adige in the west and Friuli-Venetia Giulia and the gulf of Venice to the east, lies the acclaimed Italian wine region of Veneto. It is famous throughout the world for its wines like Valpolicella, Pinot Grigio, Soave and Prosecco. But there is more to be found in Veneto. 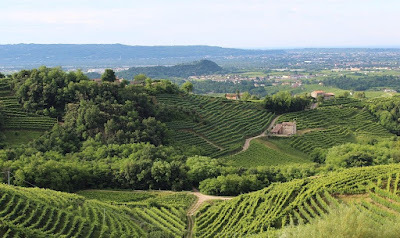 The hills south of lake Garda we find the DOC's of Lugana, Bardolino and Bianco di Custoza, whom by many is considered to be the somewhat lesser cousin of neighboring Soave, mainly known for it's friendly, fruity wines. 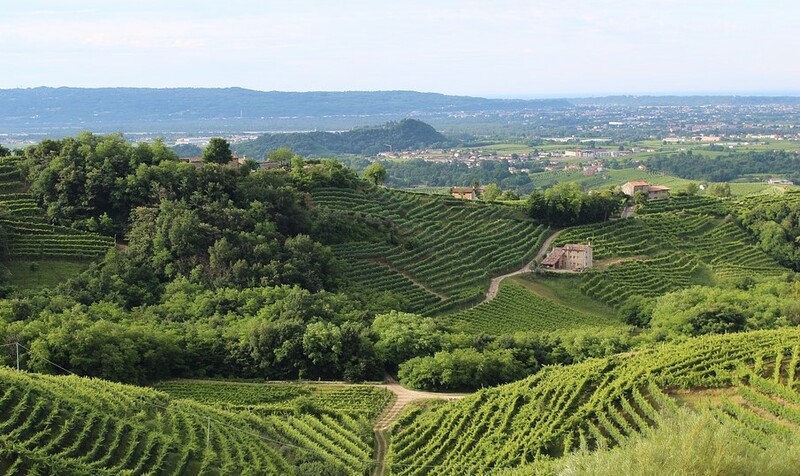 But there are exceptions..
Custoza is a hilly moraine area of ​​lime, clay, gravel and sandy soils in the municipality of Sommacampagna, south-east of lake Garda. In the heart of the Custoza area lies the winery Monte del Frà. Viticulture has been practiced here since the Middle Ages, but it was not until the Bonomo family took over the estate in 1958 that it began its ongoing success story. Known as quality fanatics, Marcia Bonomo and her team live up to their reputation with their wines every year. Today, 140 hectares of vineyards owned by the Bonomo family include such great crus as Cà del Magro, Colombara, Grottino, Staffalo, Monte Godi, Monte Fitti, Mascarpine, Bagolina, Pezzarara, Lena di Mezzo and Monte del Frà. The right choice of suitable vineyards and the optimal cultivation of the vines is the family's most important objective for the production of high quality grapes. Part of the Monte del Fra vineyard is planted with old vines of noble indigenous varieties, using the Veronese pergola training and with very low yields of around 2 kg per vine. The remainder is planted with Guyot-trained Garganega vines, selected and propagated from historic clones. Such strict growing techniques form the basis for the extraordinary quality of the wine we have selected for you here. One of the flag-ships of the winery is the Custoza Superiore DOC Ca' Del Magro. This wine was awarded with the highest rating of three glasses (tre biccheri) by Gambero Rosso 8 times in a row, for the vintages 2008 - 2015. The wine is composed of 40% Garganega, combined with Trebbiano Toscano, Tocai Friulano, Cortese, Chardonnay-Riesling Italico-Malvasia and Incrocio Manzoni. All harvested by hand under strict control of the Bonomo family. Vinification starts with temperature controlled soft pressing. For the must, around 4%-5% of the Garganega grapes are fermented and matured “sur lie” in oak barrels for a period of about 4 months. The rest of the grapes are left to ferment slowly, in temperature-controlled stainless steel tanks and in contact with their lees, until May. The wine is then kept to mature in the bottle for at least 6 months before sale. The bright, pale yellow Ca del Magro captivates with its multi-faceted, fruity-spicy and floral aromas. Perfumes reminiscent of golden-delicious apple, peach, pineapple, grapefruit and mango combine with white flowers, fresh meadow herbs, white pepper, vanilla and almonds. With its full body and round aromas in combination with a nice freshness and a fine spicy bitterness, this Custoza Superiore shows why it has been rightly considered one of the top white wines for this region for years. This wine is available online at many resellers throughout Europe.